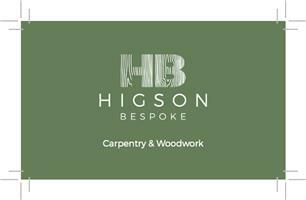 Higson Bespoke - Bathrooms, Bedrooms, Carpenter, Kitchens based in Hove, East Sussex. We are a Sussex based carpentry company covering all aspects of carpentry as well as offering bespoke services. We can help you from the deisgn stage all the way to completing the project, and are happy to take on jobs big and small. We take a lot of pride and care in our work, are professional and courteous at all times and always leave your house clean and tidy! Please check out our website for more information and examples of our work. East and West Sussex, Generally Brighton and Hove, South of M25, within approx 100 miles of Brighton.